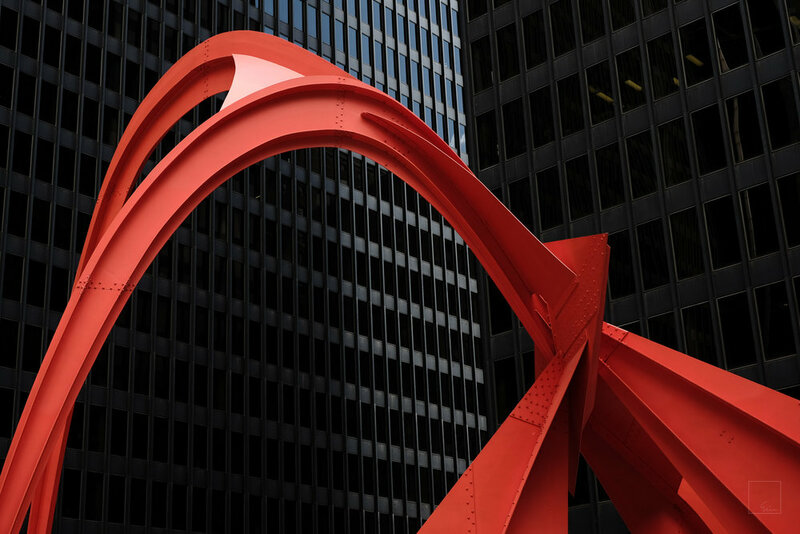 So there's this famous public art installation smack in the middle of Chicago's Loop called The Flamingo. 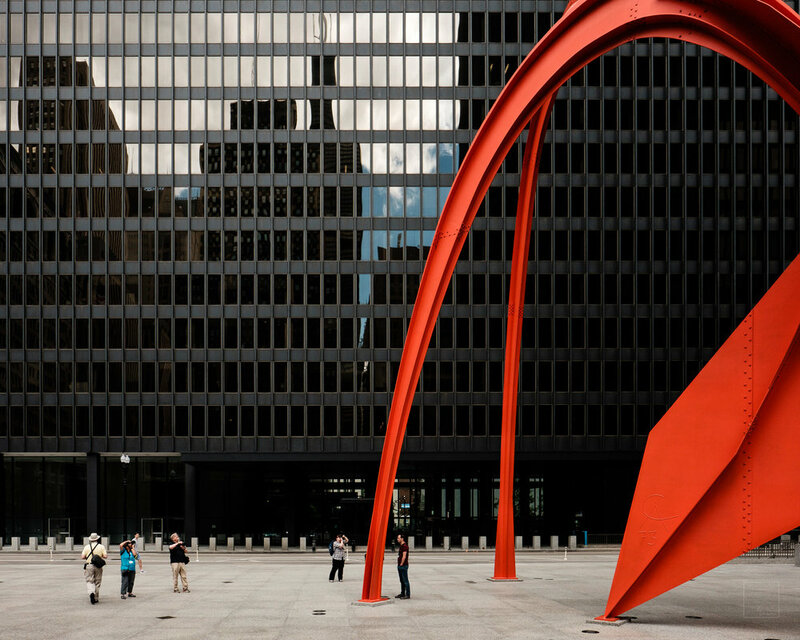 You may have seen it featured in Ferris Bueller's Day Off. Or maybe you just came across it wandering around the Loop. It's hard to miss. Cameron, Sloane and the Flamingo. The Red Wings colours clearly aren't Calder Red. 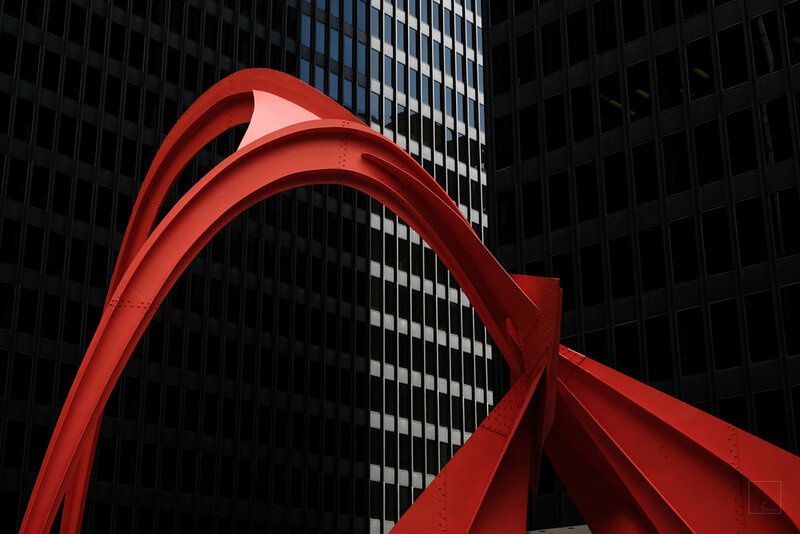 Notable for its wonderful red colour ("Calder Red"), it stands beautifully juxtaposed against the black steel and glass of the modern and minimalist Ludwig Mies van der Rohe-designed Kluczynski Federal Building. What's remarkable about this statue, apart from it's sheer size, shape and striking colour, is how it changes with the light. When I visited two weeks ago, there were fair-weather clouds blowing through the troposphere (I had to look that one up) above Chicago that were changing the light on a minute-by-minute basis. 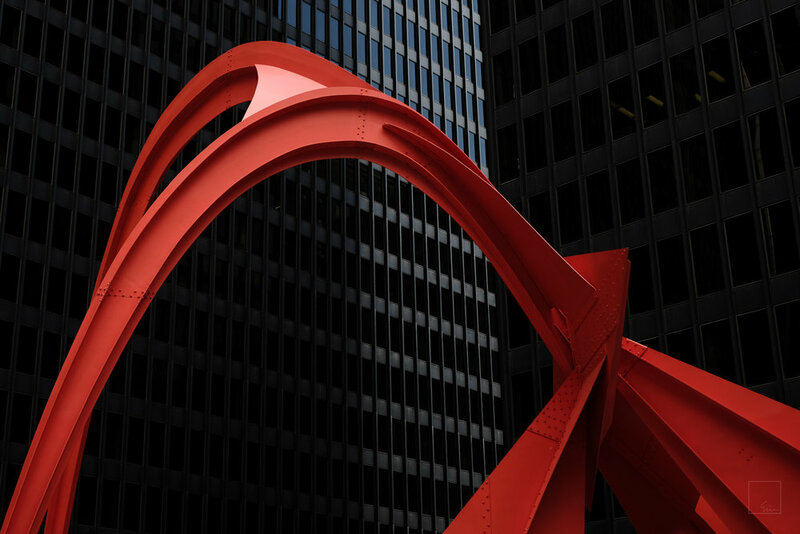 It is a challenging subject to capture; installed in a relatively confined space, surrounded by tall buildings, the light doesn't always hit it quite the way you'd want it to. Fortunately, it doesn't seem to matter. Without Lightroom's perspective correction, this would look very different indeed. Where'd the light go?